The EBSCO eBook Academic Collection provides you with unlimited simultaneous multi-user access to over 170,000 academic eBooks, including titles from leading university presses such as: Oxford University Press, MIT Press, Harvard University Press, and many more. The subjects cover all academic areas of interest. NOTE: You must access this database using the SAFARI browser to download eBooks to your iPad. To read eBooks offline you need to use the ADOBI DIGITAL EDITIONS app or the BLUEFIRE READER app. The LFA Overdrive Collection consists of over 1,300 eBooks and audiobooks that you can download directly to your iPad using the SORA app. This collection includes award winning books, academic titles, popular fiction and non-fiction. You can choose a checkout period of 7 or 14 days for your account. All titles automatically expire from your iPad once the checkout period has ended. You can also return eBooks (but not audiobooks) before the checkout period is over. Cart limit is 5 items at one time. LFA offers several popular reading eMagazines that can be read in flip-book format online or through the Flipster app. NOTE: Returning students may continue to use the EBSCO and Overdrive eBooks as well as the Flipster eMagazines during summer break. 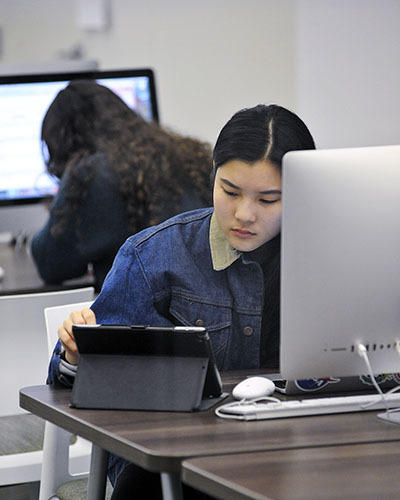 New students will have access to the resources once they matriculate in the fall. Project Gutenberg: Access to over 54,000 free/public domain ebooks (fiction and non-fiction). You can download these ebooks and keep as long as you wish. Directory of Open Access Books: Access to over 9600 academic peer-reviewed ebooks. Internet Archive: Access to over 12 million free ebooks and texts. Books to Borrow: 550,000 modern ebooks (fiction and non-fiction) for users to borrow for up to two weeks using a free archive.org account.